The holidays are your chance to test out all the new strategies and products you’ve been working on throughout the year. The last thing you want to be during your busiest time of the year is uncertain. You need to go into the holiday season prepared. You need the data to back up each of the decisions you make. And you need to act quickly, or you’ll have to wait until next year to try again. As the founder and developer of Metorik, I’ve worked with thousands of stores around the holiday season, helping them maximize and understand their results. In this post, I want to share with you some tips that will ensure you’re ready from a reporting perspective these holidays. Every new shop builder has the same goal: to make money from their eCommerce site. However, the first few transactions can sometimes be the most difficult to make since these are the sales that put your strategy, your store, and your patience to the test. Luckily, the early days of any business offer the perfect opportunity to listen, learn, and experiment with different sales tactics. To help you get started, we’ve compiled ten ways to make your next sale with WooCommerce that will help you now and throughout the lifetime of your online store. Let’s put some wind in your sales. It’s spring for those of us in the northern hemisphere, and we’re celebrating all it brings by collecting marketing extensions that will put a little bit of the season into your store. From tools that help you grow your sales to extensions that will spruce up your product pages, here are twelve ways you can bring new life to any WooCommerce store. We run a couple of major holiday sales on WooCommerce.com each year, including Hallowoon, Black Friday, and Cyber Monday. The challenge as each one comes around is: how do we keep running them bigger, better, and fresher? This year we tried a few new things that increased conversions. We learned a lot from these experiences, and decided to write about them as we thought you might be able to learn from them as well. Read on for some key questions to ask before running a sale, tips on creating a positive sale experience, and what there is to be learnt from Woo’s holiday sales. Your customers expect a lot of things during the holiday season — giftable goods, fast shipping, maybe even the option to gift wrap their presents — but above all else, the one thing they’re going to be looking for are those sweet, sweet deals. To help you prepare your store for bonafide holiday success, we’ve compiled a selection of six WooCommerce extensions that will help you create, distribute, and promote successful holiday offers. From multi-purpose coupon extensions to add-ons that turn your store into a marketing machine, these solutions will give you everything you need. Read on to find out what they are and how you can use them. We’ve said it before, and we’ll say it again: your customers love a good sale. For some shoppers, there’s nothing more motivating than a coupon code, discount, or order shipped free of charge. Chances are, you already knew this. But what you might not have known was that right out of the proverbial box, WooCommerce has the ability to offer all of these promotions — and then some — to your customers. And all without purchasing or adding a single additional extension. Here are seven ways you can attract and delight shoppers with sales using options baked right into WooCommerce. If you’re trying to get potential customers to pay attention to your store — or repeat customers to come back — your thoughts will naturally gravitate toward a sale. Simple sales and 10% off coupon codes are great, but it pays to think outside of the box and experiment with creative strategies that work with your audience. Today we’ll look at different types of sales you can try in your online store, plus the WooCommerce extensions that make each one possible. From product bundles to flash sales to members-only discounts, here are 10 ideas chosen just for you. By now, you probably know that customers love a good sale. Discounts, coupon codes, and special offers are enticing, and often good for business, considering how much attention they can drum up. When it comes to promotions created by owners of small or new online stores, though, finding the time to walk through every step of the process can be tough. The temptation is often there to “wing it” — to simply set up what sounds appealing and hope it works out for everyone. Winging it might work for a little while, but the decisions you make should be based on data, not guesswork. After your promotions end, you should be reviewing the results and learning what to do differently next time. Otherwise, both you and your customers could be missing out. Let’s take a look at what you should review after each sale concludes, plus what you should do to ensure each subsequent promotion is a perfect fit for your shoppers. Go Rocket Fuel explains that bounce rates have an even deeper meaning where they include all single interactions such as transactions and single events such as clicks. They explain that the average bounce rate usually sits somewhere in between 26 and 70 percent, but this is a rather large range, so what should you shoot for? Consumers spend around $52 billion on holiday shopping, and 90 percent of people will complete at least some of their shopping online. Those are some huge numbers, potentially bringing holiday cheer for all eCommerce website owners and businesses that are preparing for that holiday rush. In short, the holidays are a good curse. As an eCommerce business you are pushed to your limit and have to prepare like no other time throughout the year. And mistakes do occur. Websites slow down, and customers get frustrated when the slightest mishap strikes during their shopping experience. You can’t really blame them either, since the holidays are stressful and they just want to get their shopping done—until next year, of course. There are two types of eCommerce sites during the holiday season: Those that are prepared and those that are unprepared. Your preparation creates your fate as to whether or not that eggnog goes down well. With that in mind, let’s take a look at the top 10 things you need to do to have a successful eCommerce holiday season. First of all, don’t get me wrong: cross-selling and upselling, employed in moderation, are extremely useful. As you may know, it’s six to seven times easier, and cheaper, to sell more to an existing customer than to hook in a new one. But it’s crucial that it be done right. For example, most eCommerce retailers believe that product recommendations will always increase the number of sales and the profits from them. But that’s not always true. According to an e-tailing group merchant survey, 6 out of 10 retailers don’t actually know how recommendations affect their business. It goes without saying that relatively few retailers are testing and optimizing their performance, as well. The truth is that product recommendations’ performance depends on how and when you display them. And not everyone gets this right. Cross-selling and upselling are the bane of many customers just because they’re so often done poorly, with the focus put on the business’s aim of selling extra stuff instead of the customer’s aim of making sure the extra stuff will actually benefit them. Here are some ways that tends to happen and how to avoid them, to boot. It’s always been cheaper to get your previous customers to make additional purchases than it is to find new customers. This is especially true in eCommerce, where there are more and more sites competing for a finite number of internet users. Customer profits also tend to increase the longer a customer spends shopping with you. However, retaining customers is also one of the most difficult jobs for an online store owner, so in order to tackle it, let’s look at it from a few angles. Let’s start with why customers leave. Is Your Marketing Copy Working to Sell Your Products? Here on the internet, words and pictures are all you have to sell your product. So your writing is the backbone of your marketing efforts. However, plenty of people still have misconceptions about it. Despite what many people believe, copywriting is not bragging, it’s not trying to force your product on the customer, and it’s not all about keywords anymore. In fact, it never was. First of all, if you’re not offering coupon codes yet, you should be. It’ll definitely have an impact on your sales. The variety of online options for buying the same thing has trained customers to hunt for the best deals on everything. With twenty people selling a particular model of widget, it’s always wise to comparison-shop and your take their time to find the best deal on that particular item. That’s why offering discounts can give you a distinct advantage in an indecisive customer’s mind. 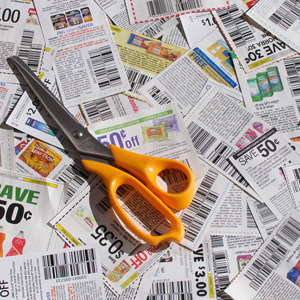 In order for coupons to work to your maximum benefit, you have to know how to implement them. That’s why today, I’ll go over some ways to do just that. Is There Demand for Your Product? So, you’ve got a great product or service that you’d like to launch online. But you’re hesitant. Why? You’re hung up on the potential of whether there is enough demand or too much competition in your niche. The last thing you want to do is invest your blood, sweat and tears into a business idea, only to find out it’s a dud later down the road. Before you jump into anything, it’s critical that you assess both the supply and demand for the niche that you are selling into first. You want to get a sense of the potential market – or lack thereof – for your idea before pouring all your time, effort and money on it. Here are some ways to assess the strength of your business idea before you get started.